Get up early, golf all day, and enjoy some good drinks and good friends after the sun goes down. The perfect combonation for any golf getaway to the beach. Check out these great local hotspots for the best nightlife on the beach! Set sail onto the blue Atlantic and test your luck on the loosest slots and best Vegas games on the Big M Casino boat! 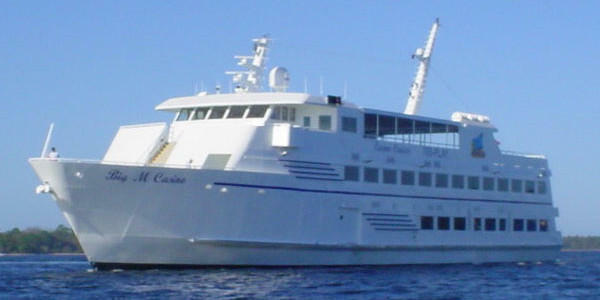 This 178-foot vessel offers players craps, blackjack, roulette, three-card poker and more! The Big M also features a tremendous buffet, including succulent options like prime rib, fresh seafood and more. Com aboard and hit the jackpot on the Big M Casino boat! Come check out some of the best regional and national comedians at Comedy Cabana! Comedians like Lewis Black, Josh Blue, Rich Vos and Tim Wilson have all performed sets at Comedy Cabana, and a packed schedule of hilarious performers is sure to provide a night full of laughs. 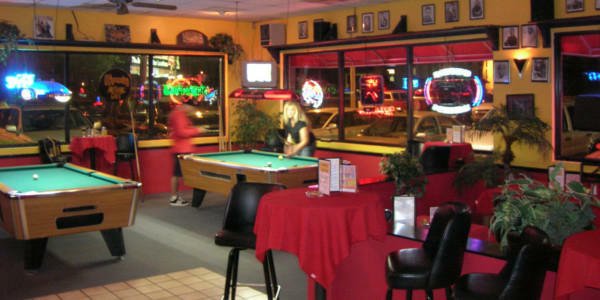 Comedy Cabana also features a bar and full food menu. 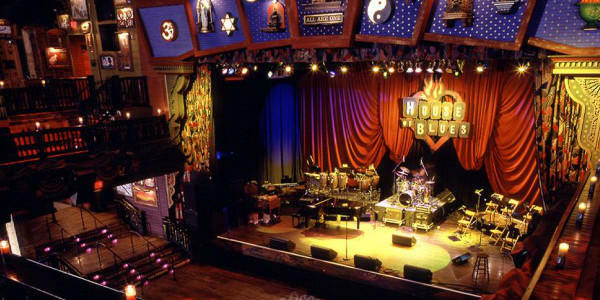 For the best in live music along the Grand Strand, visit the House of Blues. Located in Barefoot Landing in North Myrtle Beach, a packed schedule of rock, country, pop and hip hop acts are always hitting the stage, from local artists to international superstars! You can also relax out on The Deck, the House of Blue's outdoor bar area with happy hour daily from 5-7 PM. Located in the beautiful Shore Drive area of Myrtle Beach, Ocean Annie's is the most popular beach bar along the Grand Strand! 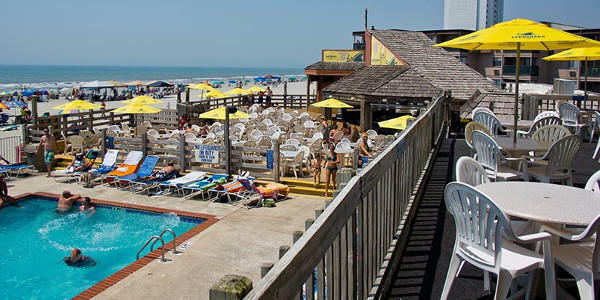 Located right on the beach, Ocean Annie's lets you enjoy ice-cold beverages only a few yards from the rolling Atlantic surf and sandy Myrtle Beach shoreline. Live entertainment is featured nightly, and be sure to try one of their signature drinks like Annie's Tea! Located right on the Intracoastal Waterway just off Highway 501, The Boathouse is the place to go for live music in Myrtle Beach. 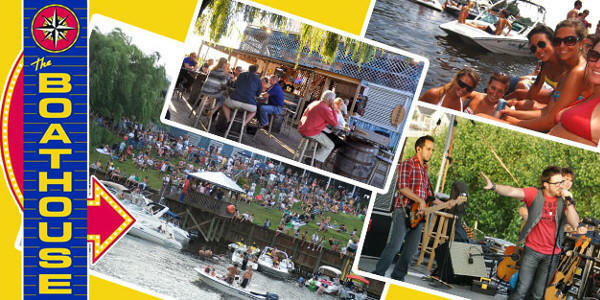 Their Summer Concert Series has become famous for bringing great regional and national acts to play on their huge waterfront stage, and other live music and entertainment is featured year-round. They also feature dozens of big-screen TV's to catch all the big games and a brand new selection of over 15 rotating craft beers on tap. 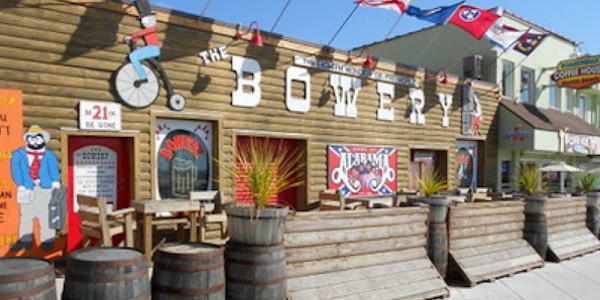 An iconic Myrtle Beach establishment, The Bowery is a must-visit attraction for Myrtle Beach visitors! Country music supergroup Alabama got their start playing here, and The Bowery still features plenty of great live music. Ice-cold beer, all your favorite bar food and endless fun are always on the menu, all right in the heart of the Myrtle Beach Boardwalk!